So your blog got approved by buysellads ? Congratulations! Now the first question that comes to many adsense using webmasters is that is buysellads allowed along with adsense. No one likes their adsense banned! Well the short answer to this is that yes, having buy sell ads and adsense together on one blog is allowed, both by google adsense and buysellads and there should be any issue or fear of penalty to google adsense or to buysellads account on your website if they’re used together. Google adsense is a context based ad service. The ads on your site are dynamically loaded (if not exclusively targeted by the advertiser) depending upon the content on your webpage. Buysellads however works in a different way. You place ad slot on your website and the advertisers select your ad slot for static ad. Although choosing your ad slot depends on your websites overall health and the content in it, but it’s not dynamic and doesn’t change as per the content on each page. So as buysellads don’t compete with adsense, it’s fine to use them together. Being allowed to use google with buysellads doesn’t mean it’s fine to use them anyway. If you’re using two advertisers on your website it means double responsibility, double checks and double care too! 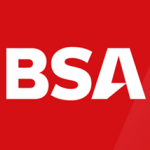 One of google adsense and other other of bsa! Don’t intermingle them with each other. It’s wise to keep them separate from each other. Clearly distinct from one another. It’s wise to check that when you’re using two ad systems on your website, you don’t simply use them at their maximum allowed strength. Use them sensibly and only where they can be of highest value. Remember, the visitor should see ads on your content rich website. Not content in you ads rich website! There are numerous websites that are using buysellads along with google adsense. While writing this article we’ve been using adsense with buy sell ads for couple of years now without any issue from both the ad networks. We’ve been testing on the ad units from time to time and both has been working fine throughout and don’t effect each others productivity. Using both the ad networks is highly recommended as it will definitely increase your revenue from your website or blog, however you should implement them with a purpose and sense of increasing value to your visitors too. It’s hard to keep a balance between the two though, but it’s wise to keep it there! It’s better to experiment with different ad types, both for adsense and buy sell ads, and different ad placements to see which one suits best for your website layout design and the content on it. Ad placement and revenue from ads is dependent on the target audience too and “why” they’re coming to your blog or website, consider all these options while setting up any ad network, be it adsense or buysellads on your website and it will give you good results! What’s your suggestion and experience about using google adsense and buysellads together?